A short R and R within the city is a luxury we rarely find in between work and our everyday social hustle . For working class professionals – right out of a cubicle business setting – a quick time-off is just what we need to balance our active and busy lifestyle. Does a staycation sound just about right to you? A staycation is a vacation within the comforts of your own locality. It could be referred to as an overnight stay at a hotel within the city. “Stay” could mean tucked inside a comfy roomy; laze around and just bum your day away; (va)cation is pretty much self-explanatory – a vacation. Furthermore, it’s a vacation within the city but not at the confines of your home. 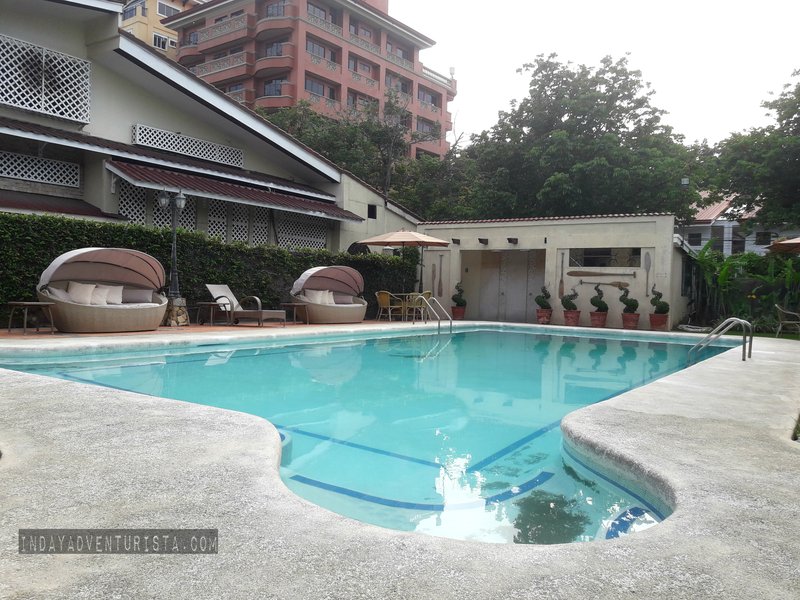 Having a swimming pool is one of the amenities we consider in choosing a hotel. 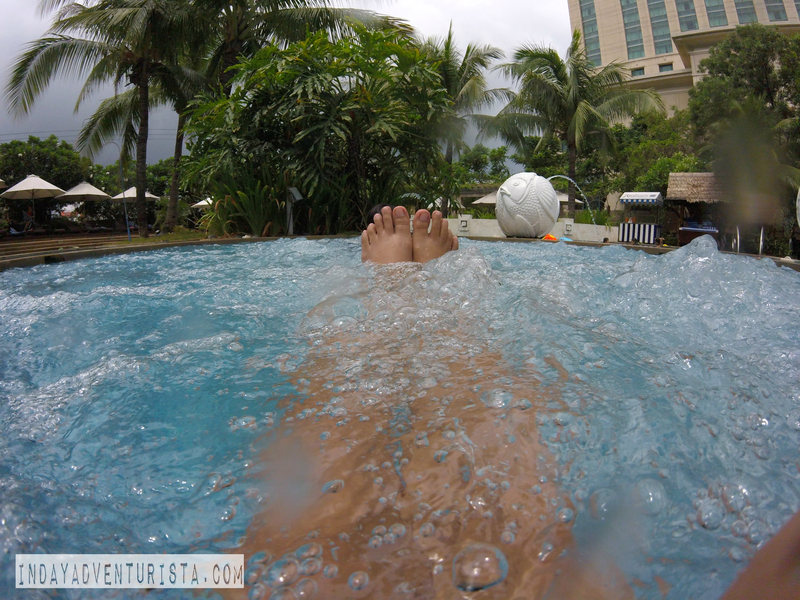 I, myself, would prefer to stay in a hotel with a nice pool because Pinoys are adventurous by nature. We love anything that has to do with outdoor activities like swimming. There are several hotel suggestions one can choose for a perfect staycation. 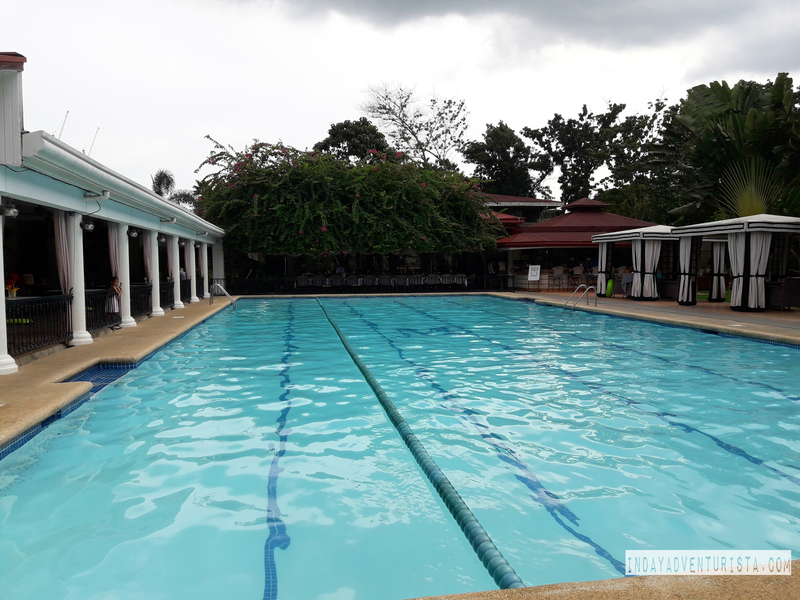 Here are my top 5 hotel picks (with swimming pool) in metro Cebu where it’s best to spend that much-needed break. 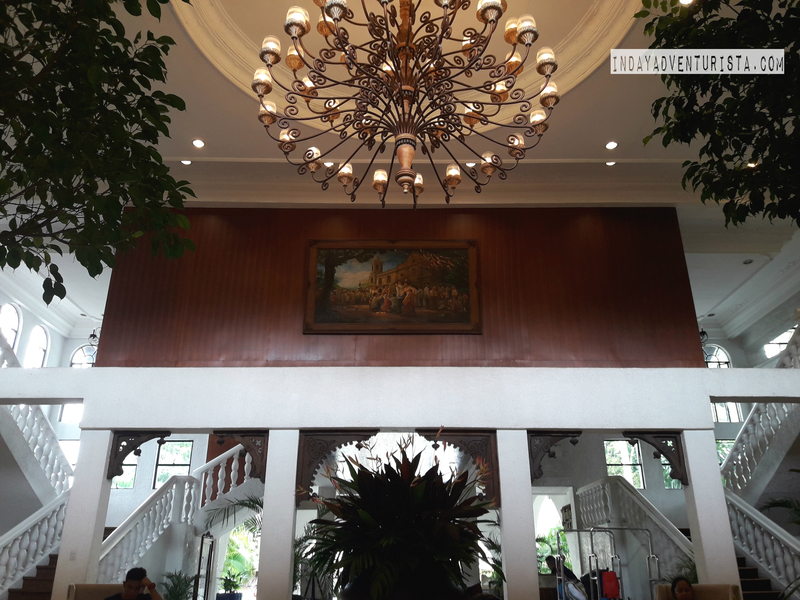 Plus a bonus hotel pick in Mandaue, Cebu. Situated within the business district of Cebu, Quest stands tall at Archbishop Reyes Ave, Cebu Business Park, fronting Ayala Center Mall. 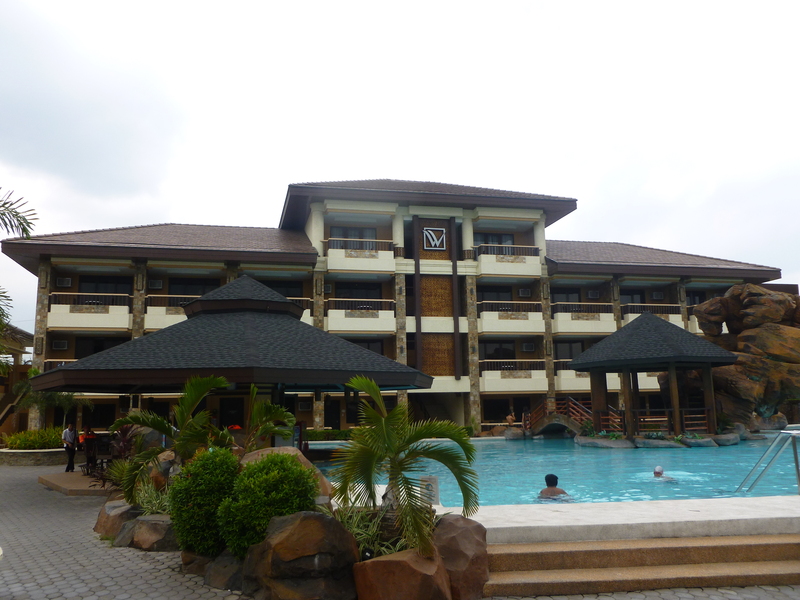 This is the first Quest Hotel in the Philippines and has more than 400 rooms. It is a 3 star business hotel with an affordable lifestyle. This sturdy looking hotel is best for business travelers looking for a stylish and modern working environment. I love the unique and creative interior designs at the lobby and of the hotel as a whole. The rooms are fresh and clean considering that the hotel opened in 2012. I would strongly recommend Quest Hotel for avid swimmers because their outdoor swimming pool is a good one. It has a mini bar plus it is spacious and clean. Free towels are being offered to in-house guests, provided you sign the log sheet. Night swimming is a great choice if you need a little privacy since it gets a little crowded during daytime. Do not miss out on their breakfast and dinner buffet at Puso Restaurant. Quest is known to have good offerings for their buffet spread. 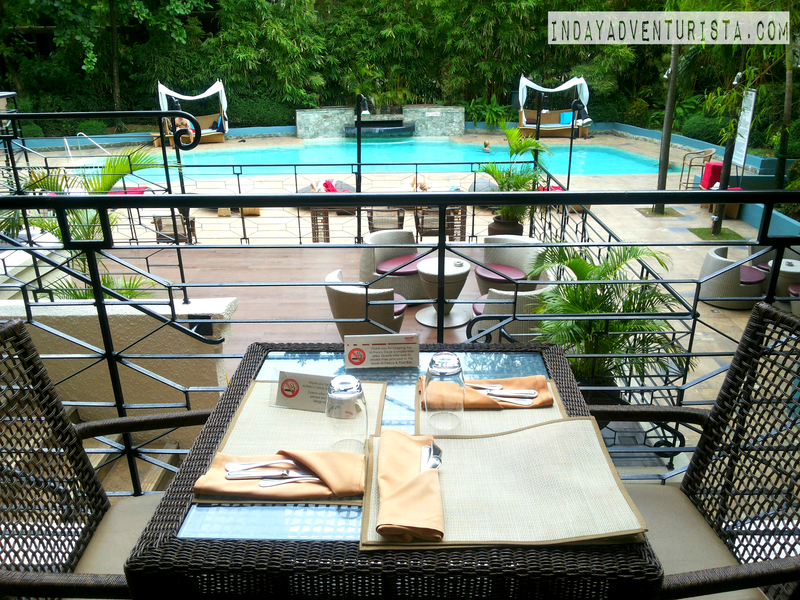 Cebu Quest Hotel is unpretentious and advisable to executives and tourists alike. Look out into the magnificent skyline of Mactan, Lapu-Lapu and Cebu City from your hotel room window, this is a Radisson Blu guarantee. 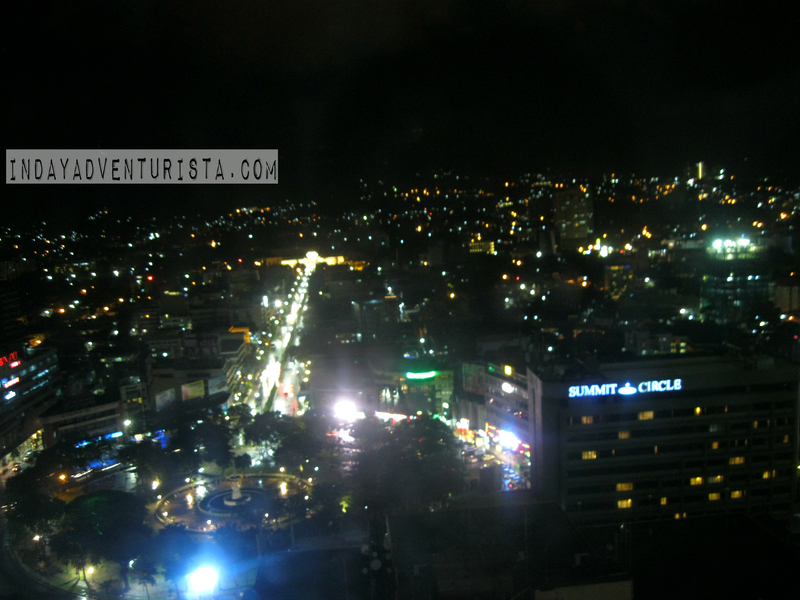 Radisson Blu is ideally located right next to the SM City Cebu. What could be more convenient than that? Their spacious and stylish lobby will greet you as you enter the hotel premise. You will be at awe on how grand yet not too fancy their interior decor and furnishings are. Wait until you visit them during the holiday season, because Radisson Blu Cebu is known to have one of the most striking hotel Christmas trees in the city. Radisson’s outdoor pool is wide and clean. 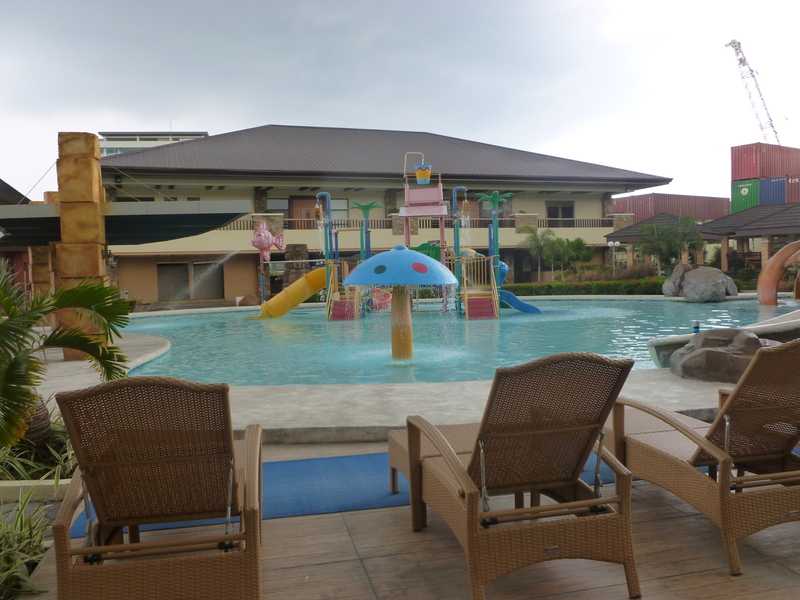 It is very ideal for families with tots because their kids’ pool area is big enough. Their adult pool is 4ft deep and right beside it is a Jacuzzi. 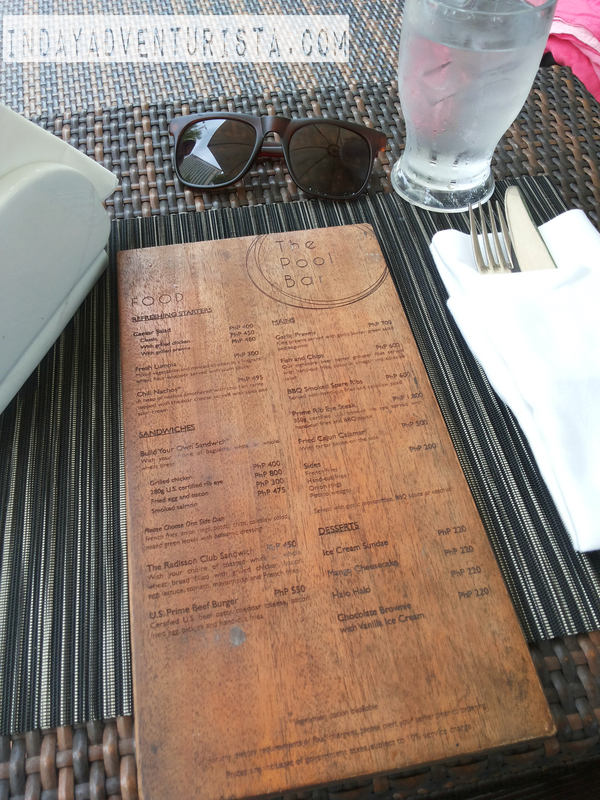 You can also grab a meal or a drink at their pool bar. 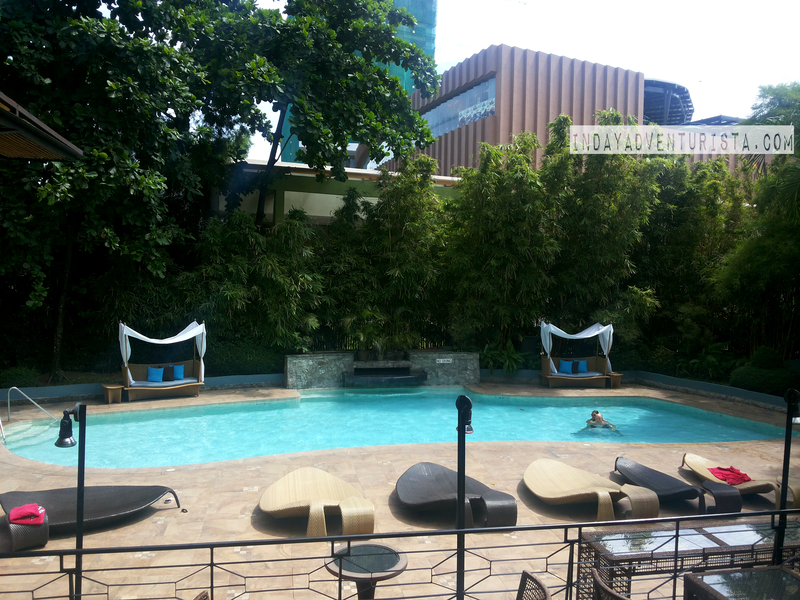 I would recommend Radisson Blu Cebu to people who enjoy a picturesque ambiance because this hotel really has the swag. 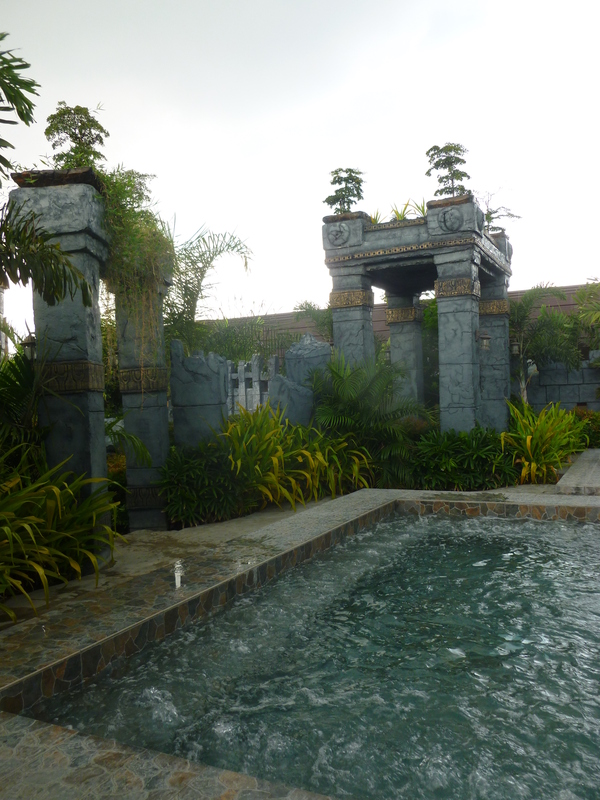 From the facade to the interiors up to the pool and garden area, you can’t have a dull background anywhere. Feria at Radisson is known for its world-class dinning preparations that serves both buffet and à la carte options all day. This is another reason why Radisson Blu Cebu is a go-to place for tourists and businessmen – everything is just a few steps away. Marriott Hotel Cebu is an international name which is synonymous to world-class hospitality. Travelers who are in Cebu for business (or leisure) purposes will opt to choose Cebu Marriott Hotel primarily because it is situated perfectly at the heart of Cebu City’s commercial and financial district. 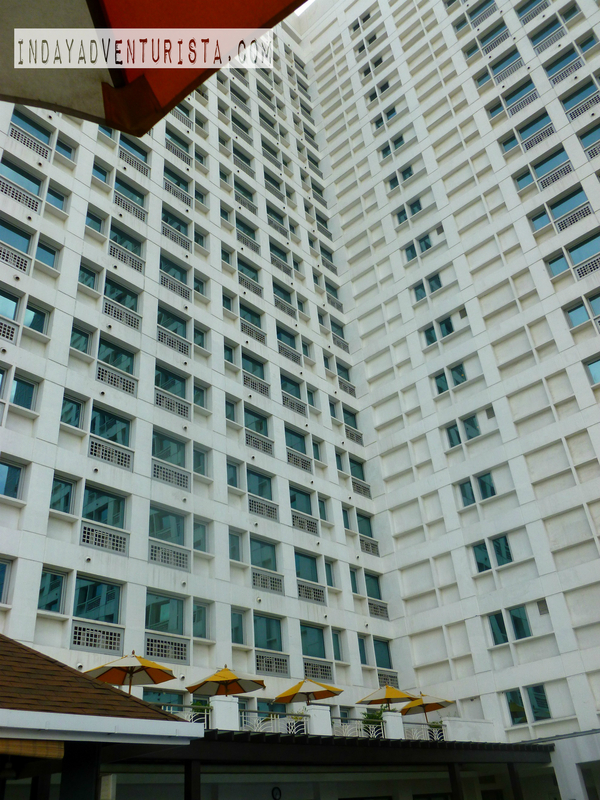 It is standing tall literally right next to Ayala Center Cebu. Modern rooms come with free Wi-Fi, flat-screen TVs and desks. They also feature sitting areas and minibar, along with tea and coffee makers. Other amenities include a fitness center, spa and a modern cocktail lounge, plus an outdoor pool with a poolside bar. 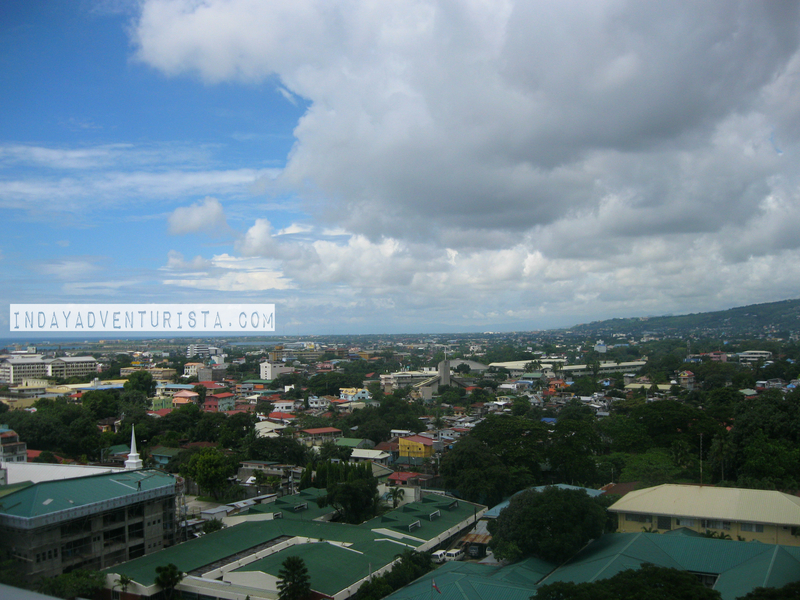 It promises rooms overlooking the Terraces of Ayala Mall and Cebu Park District. Their pool area is small and a little out-of-privacy. Outsiders have access to the pool area because it’s along the al fresco dining, and passers-by (to and from the mall) can also take a peek by the pool. I suggest a night swim for in-house guests, nonetheless, you still get little to no privacy. 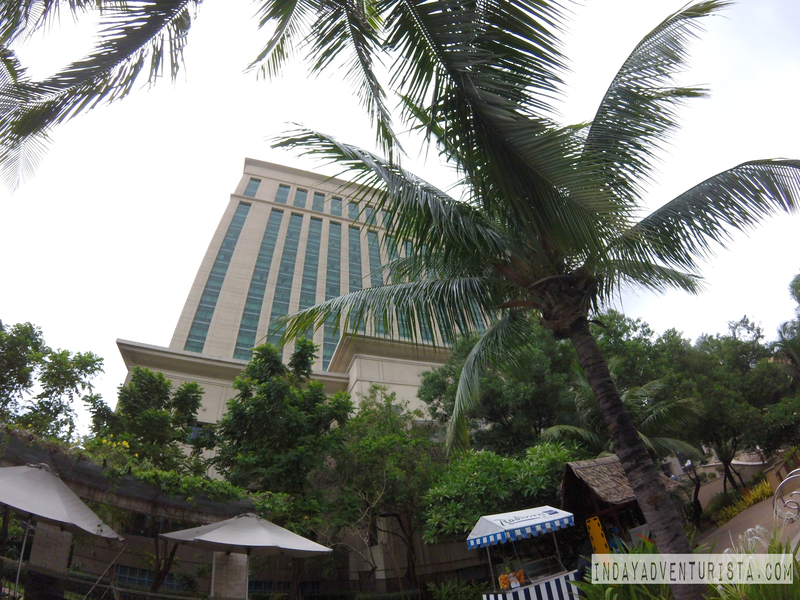 Crown Regency Cebu is an upscale hotel with a majestic view of uptown Cebu. This is the only hotel in the city that provides activities such as wall climbing (Sky Walk), zip lining, as well as roller coasters (Edge Coaster ride) and an indoor shooting range. Apart from that. they have indoor & outdoor pools, a gym and a spa. It also has entertainment spots (4 restaurants and 4 bars) to choose from, basically you’ve got everything you need all in one grand tower. A free breakfast buffet is included when you check in. The hotel interior is a bit rugged from over the years of operation, but the rooms are kept well polished. I was not able to photograph the Aqua Fitness Pool (indoor) which is at the 17th floor but to feed your curiosity, it does have a great 180 degree view of Cebu. The outdoor swimming pool gave me a cool vibe. 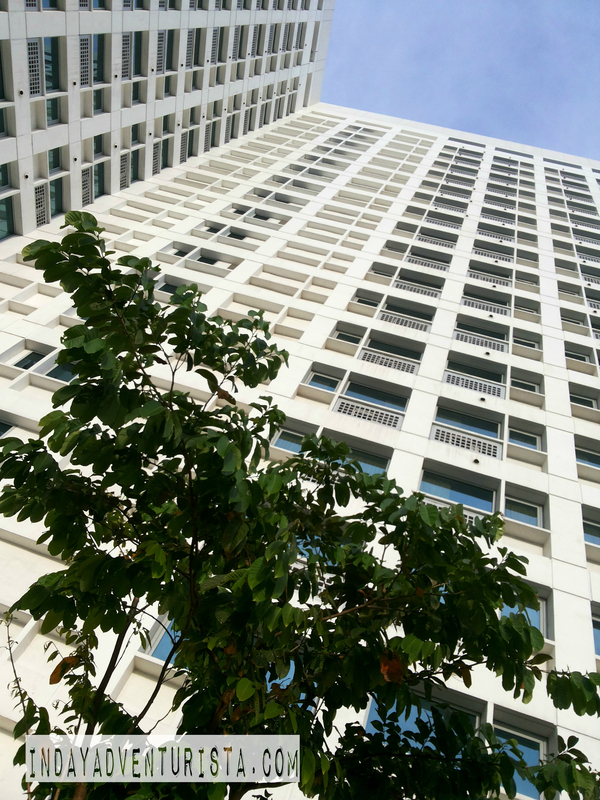 You definitely get your share of fresh air because it’s located at the 9th floor. I suggest you take a night dip because the view is amazing at night! 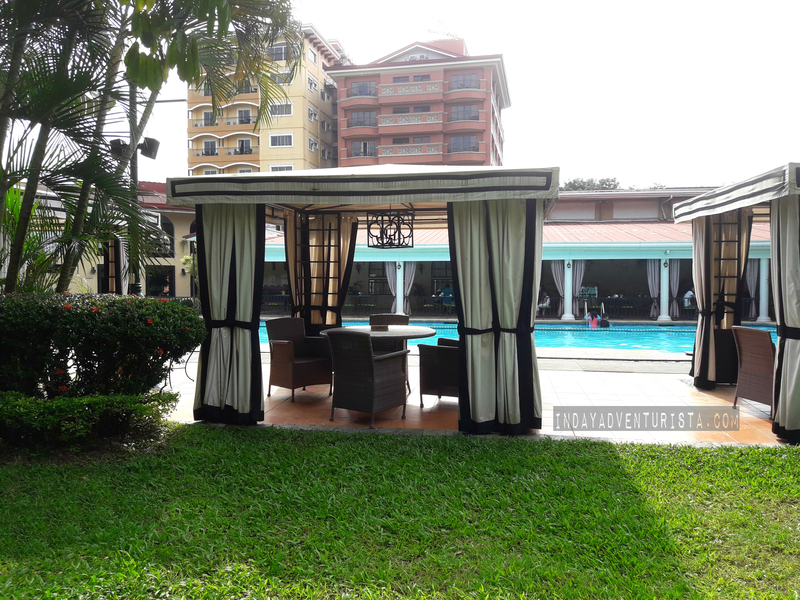 Crown Regency is one of the world-class hotels and resorts franchise, best for tourist destinations in the Philippines. Other branches are in Guadalupe Cebu City, Boracay, Makati, and Davao City. 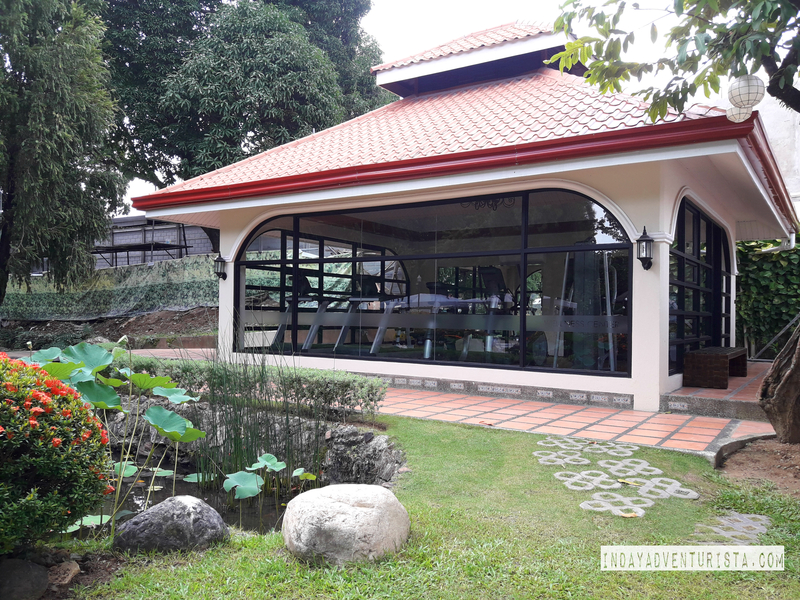 Set among gardens in an urban neighborhood, Montebello Villa Hotel Cebu oozes with a laid-back vibe that exudes pure relaxation.Upgrade your rooms to enjoy added room features like a minibar, tea and coffee-making facilities and balconies with garden or pool views. Suite rooms provide private patios and/or semi-private pools too. If you are looking for a hotel for your wedding plans, the shrouded greenery garden is where wedding events often being held. Its romantic foreground and background is very appealing and set up perfectly for wedding receptions. 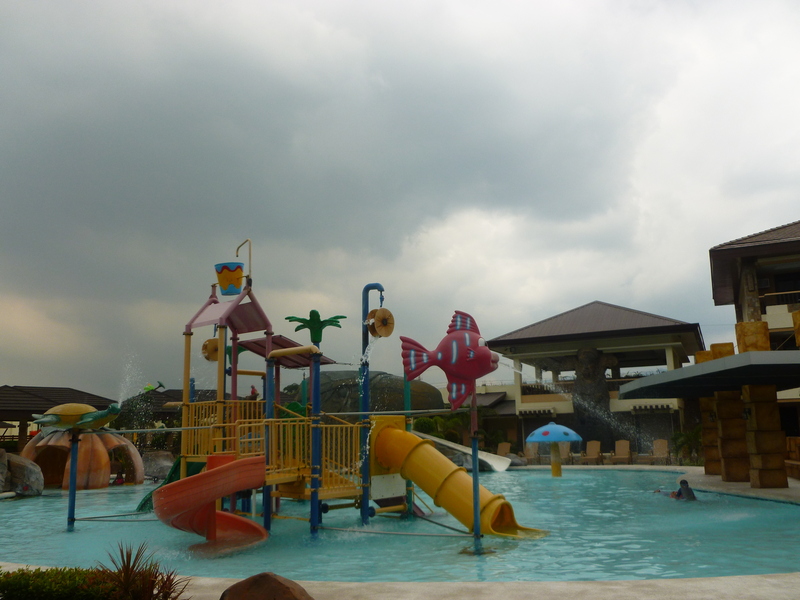 I love their kiddie and adult swimming pools. It’s huge and very inviting. Montebello recently redressed most of their interior and its rustic elegance and luxuriousness radiates throughout the hotel’s design. 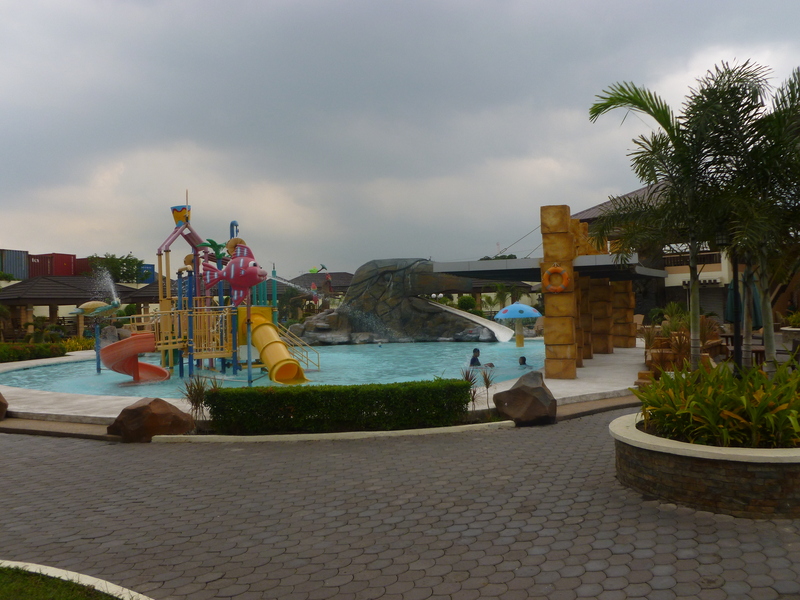 Another notable staycation spot (in Mandaue City) is this cheerful hotel resort called Cebu Westown Lagoon. 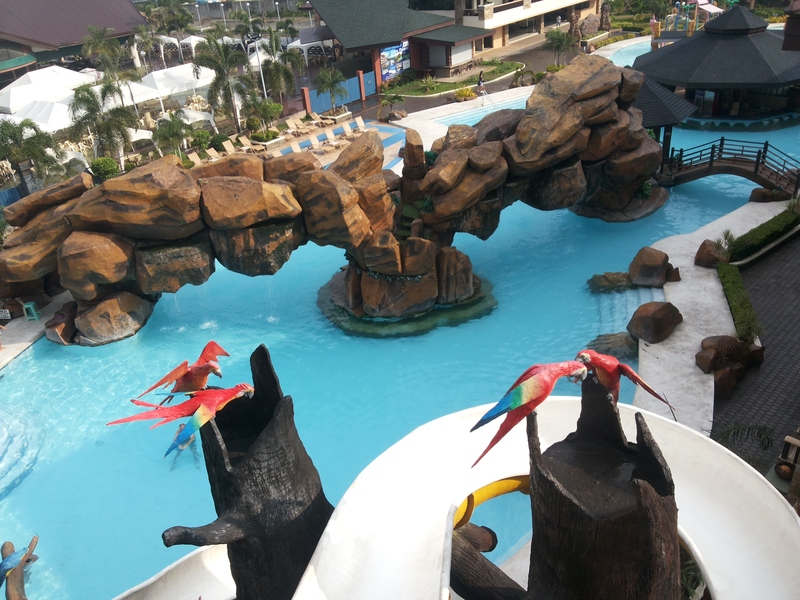 An oasis in the midst of two bustling cities, Cebu and Mandaue – Cebu Westown Lagoon is ideally located a few meters away from Parkmall Mandaue. Guests can gather family or friends together and unwind as they dip in the breathtaking man-made lagoon. 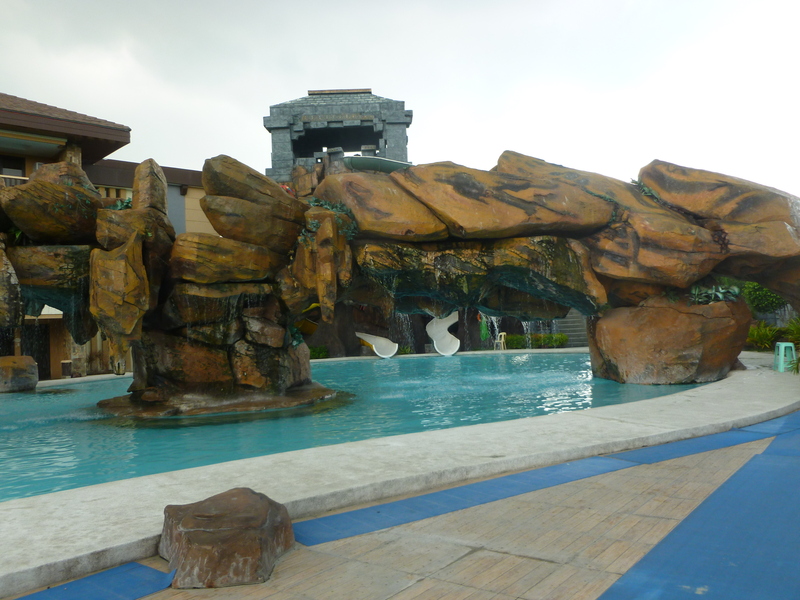 There are water slides for everybody’s fun and amusement including two outdoor soothing Jacuzzi pools. This place is kid friendly. 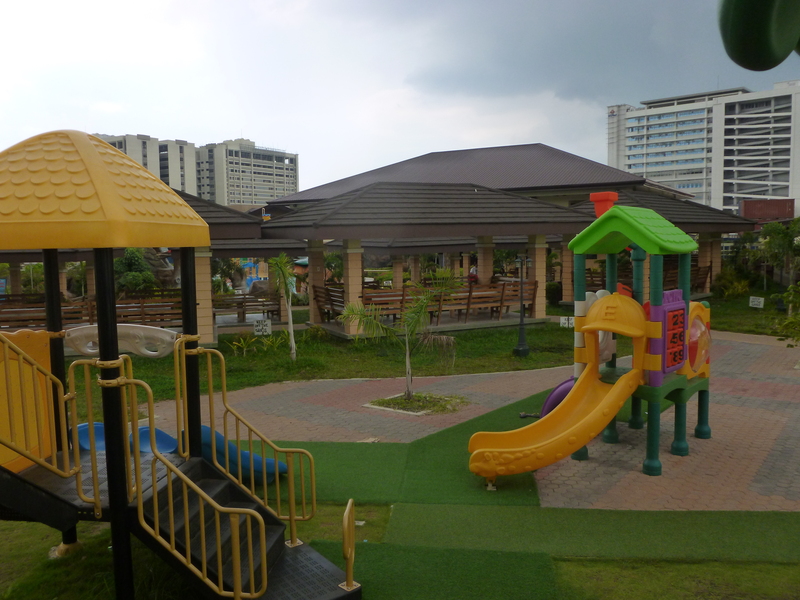 They have a playground for kids and the young at heart to enjoy. 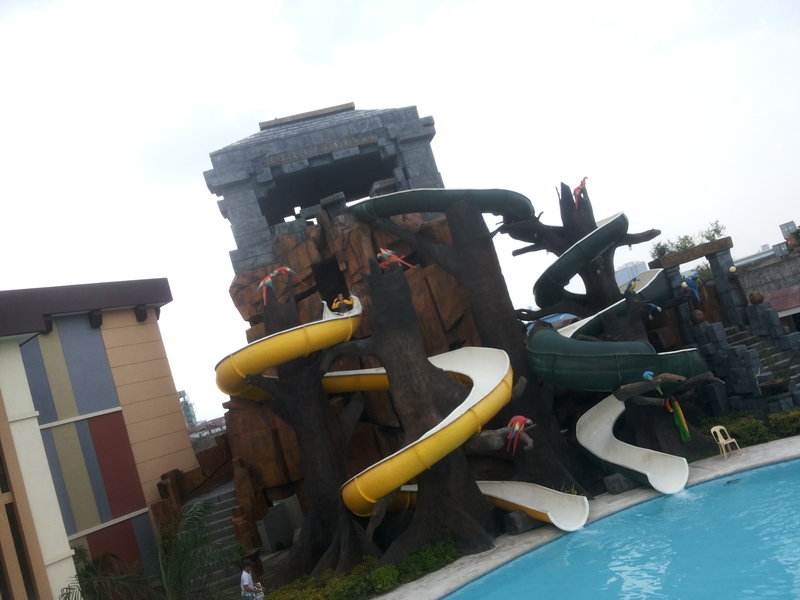 it’s practically designed to provide you and your family a day filled with water thrills and adventure. An all-day pass (day trip) is available for walk-in customers. 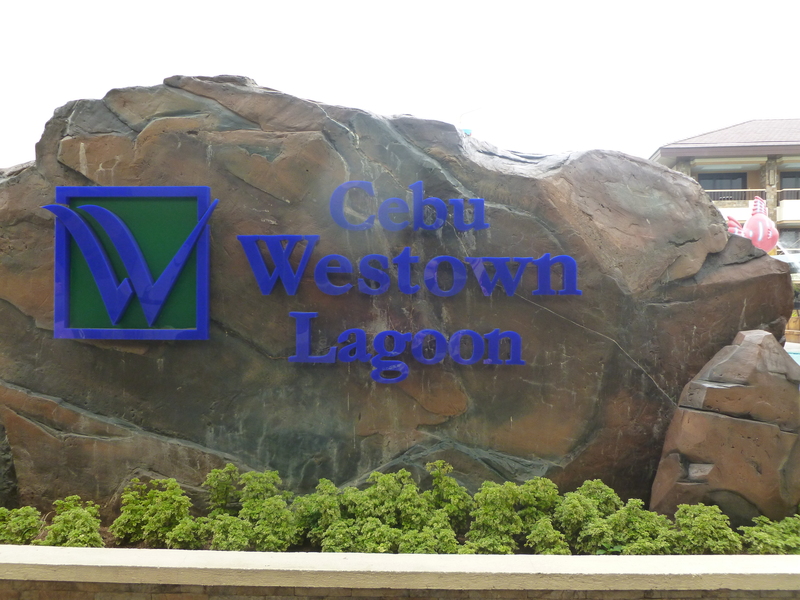 Cebu Westown lagoon’s facilities are well kept and in accordance with the highest standards of safety and cleanliness. Soak your cares away in their modern, spacious and well-appointed rooms that gives you the feeling of a “home away from home” vibe. Pool area gets crowded on weekends and holidays, though. Let me know if this list is hepful to you. I apreciate comments, feedback and other suggestions.